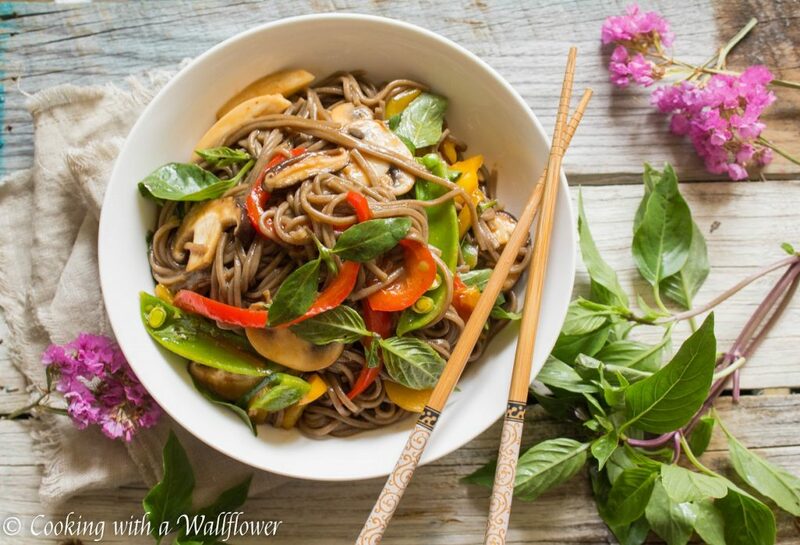 Soba noodles tossed with bell peppers, mushrooms, and snap peas in a delicious spicy and savory sauce. 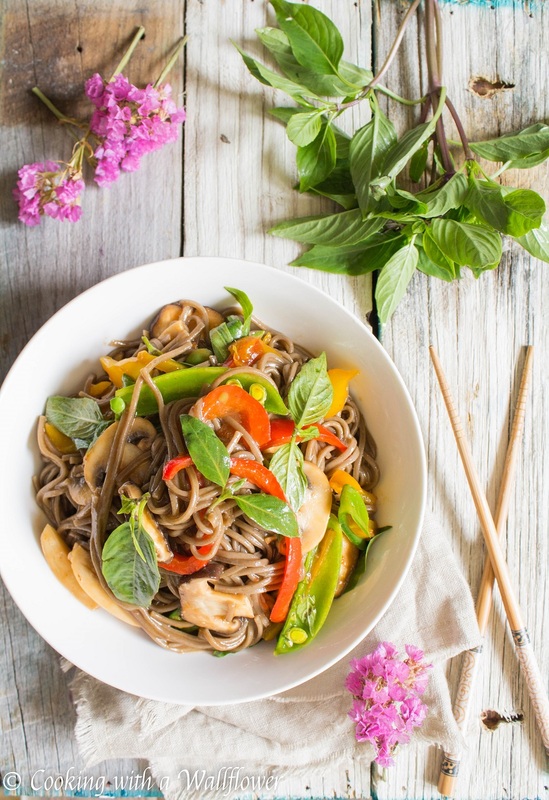 This mixed vegetable soba noodle is the perfect weeknight dinner. I have never been more excited for spring! After months of heavy rain, I’m ready for sunshine and warm days. A walk in the park means discovering beauty every few steps. Flowers in every vibrant color is blooming everywhere. And have you been to the farmer’s market lately? Strawberries are making an appearance! And I seriously can’t wait until all the berries are in season. Today, I wanted to share with you this mixed vegetable soba noodle dish. 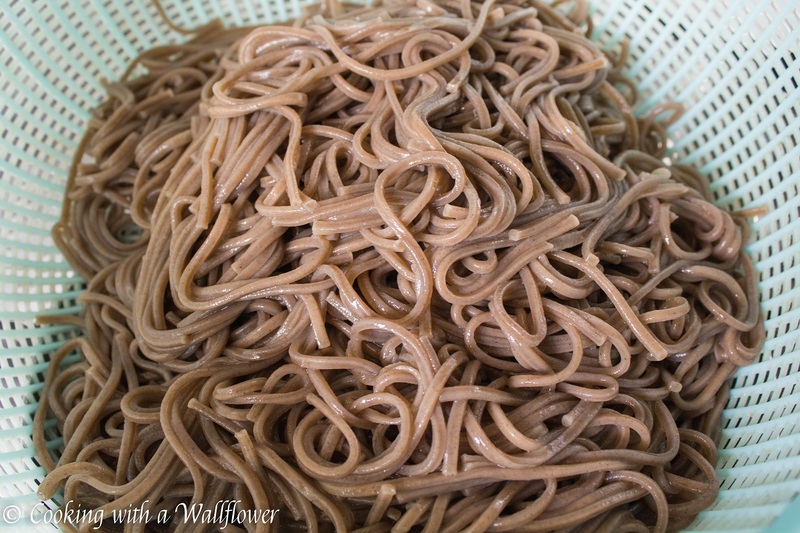 It feels like it’s been forever since I shared a noodle recipe so I have to remedy that today. 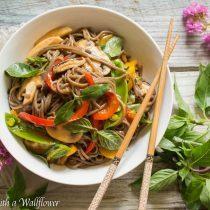 These soba noodles are filled with bell peppers, mushrooms, and snap peas, but as usual, you can always replace the veggies with your favorites. Ideas include broccoli, bok choy, cauliflower, carrots, string beans, edamame. The possibilities are endless! What will you be adding to your noodles? First, cook the soba noodles according to the directions on the package. I cooked mine in boiling water for about 5-6 minutes until they’re soft but not completely cooked through. Drain the water and run the noodles through cold water to stop the cooking process. Set aside for now. In a large skillet, add olive oil and warm over low heat for about a minute. Next, add minced garlic and saute until aromatic and golden brown. Add sliced bell peppers to the skillet and cook until tender. 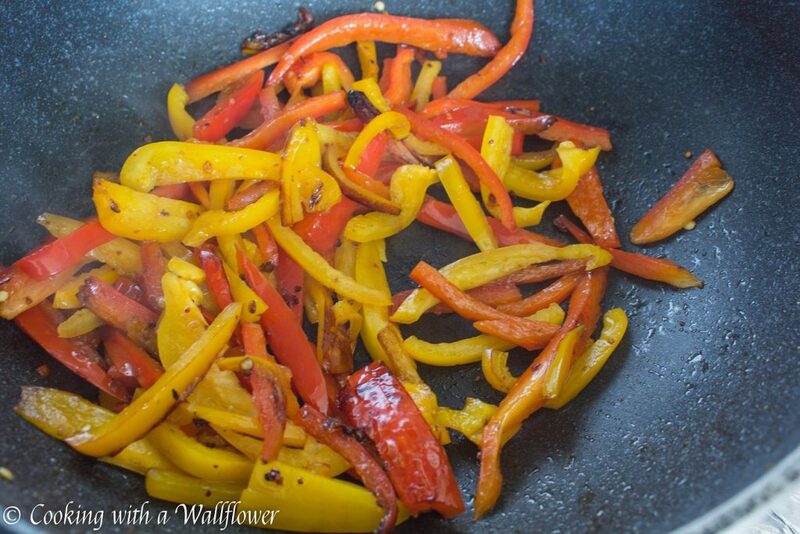 I prefer using red and yellow bell peppers because they retain their vibrant color. Green bell peppers become a dull green. Have you noticed that? 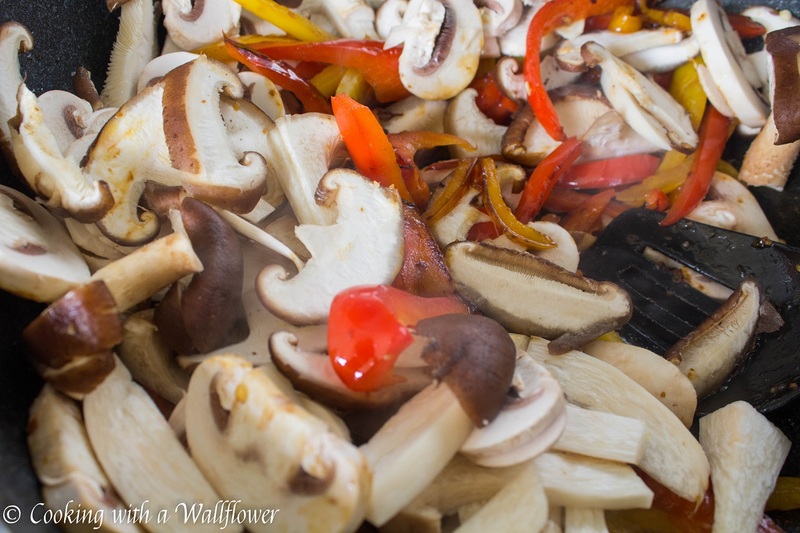 Once the bell peppers are tender, add the mushrooms. 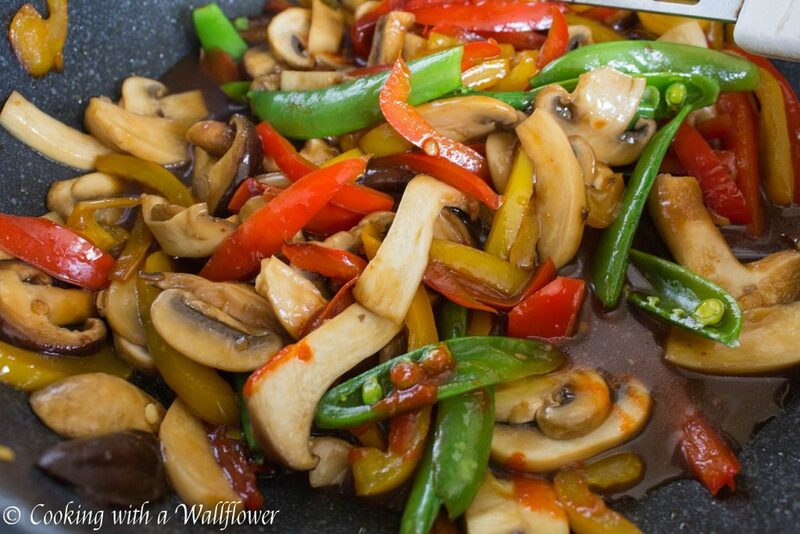 I used a combination of shiitake mushrooms and oyster mushrooms. Use your favorites. Next, add the snap peas, oyster sauce, soy sauce, honey, Sriracha, and water, and cook for about a minute or two. Add the soba noodles and basil leaves. Toss until the noodles are coated with the sauce. 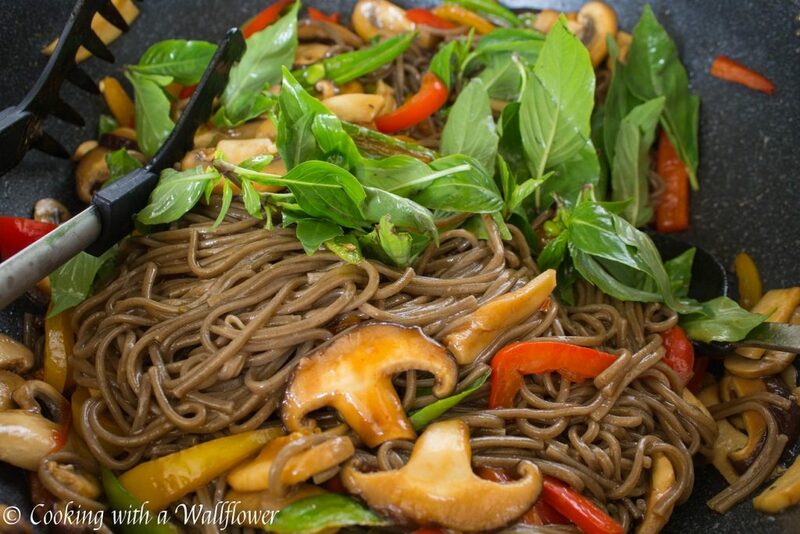 Serve the mixed vegetable soba noodle warm. Soba noodle tossed with bell peppers, mushrooms, and snap peas in a delicious sweet and savory sauce. 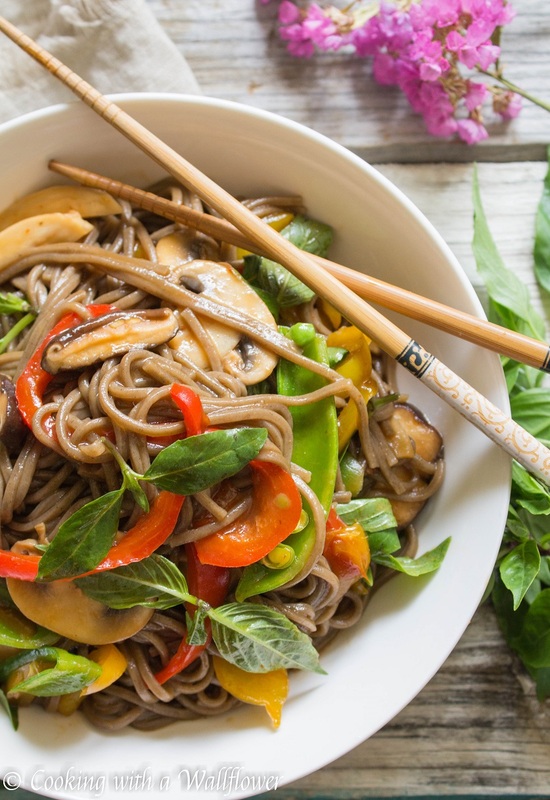 This mixed vegetable soba noodle is the perfect weeknight dinner. 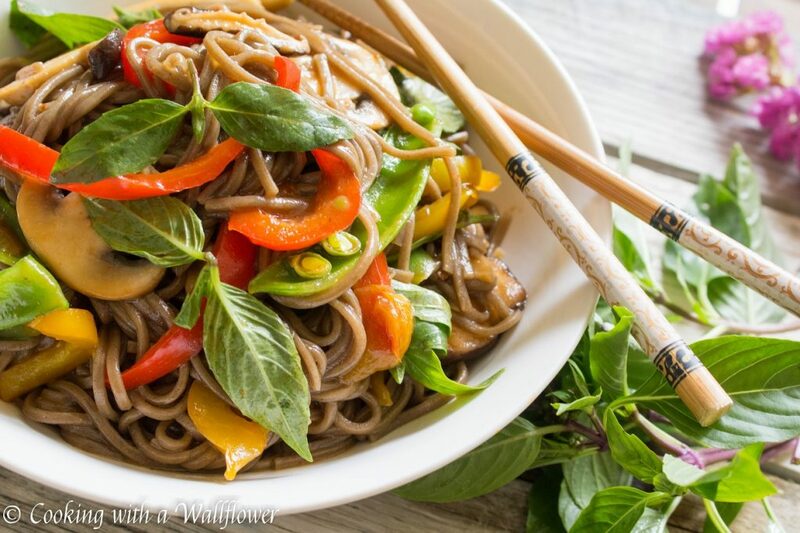 This entry was posted in Entree, Farmer's Market, Quick and Easy, Recipes, Spring Cravings, Summer Cravings and tagged Asian Inspired, entree, noodles, quick and easy. Soba noodles are the best! I literally keep these stocked in my kitchen. Going to have to go open up a package, now. This look delicious! Will try this this weekend…yum!